Set in 1920s New York, F. Scott Fitzgerald's The Great Gatsby is a story about love and lust, social upheaval and eventually recklessness (though you may also associate the name of the main character with actor Leonardo Dicaprio who starred in the 2013 Hollywood blockbuster — and who are we to blame you for that?). Now the book that became a film is also a dance spectacular in London with Northern Ballet staging the doomed romance at Sadler's Wells. Directed by award-winning choreographer David Nixon, this adaptation mixes classical dance moves with 1920s jazz and swing music to great effect. For those who don't know the novel, it tells the story of mysterious, mega-rich gentlemen Jay Gatsby and his love-of-a-lifetime Daisy. The only problem is that Daisy is married to rude and scornful Tom Buchanan. Daisy lives a troubled life with Tom, who has a lover himself. Gatsby and Daisy try and fight for their true love, helped by their mutual friend Nick, but a bitter ending awaits. 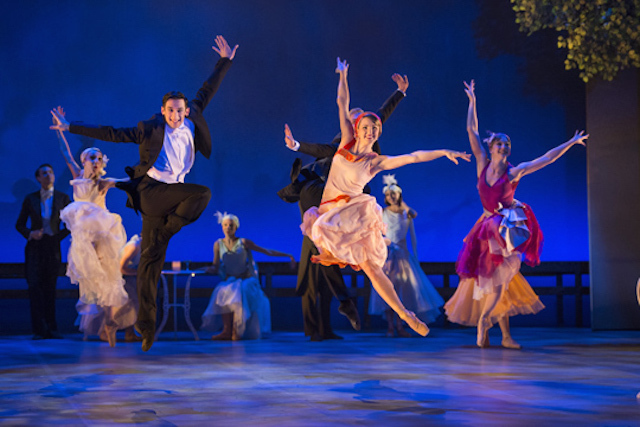 Filled with sparkling sequins and smart suits, we particularly like the group choreography in this show, where the dancers evoke Fitzgerald's description of Gatsby's parties through their perfectly-coordinated movement. Martha Leebolt as Daisy gives an outstanding, powerful performance, quite the opposite of her powerless and weak-kneed character in the book. 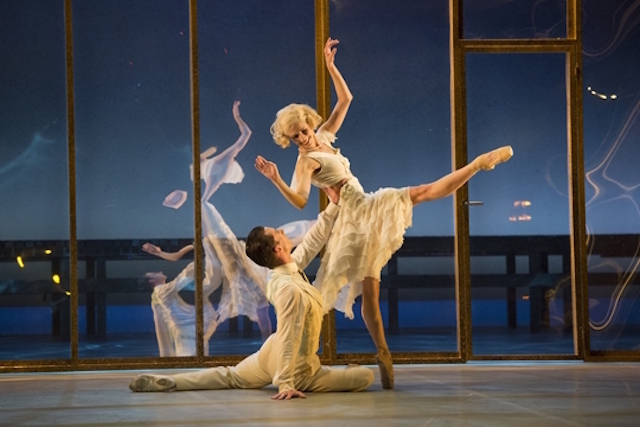 Yet despite her vivacious performance, parts of the choreography still treat her as an 'object', such as when she's launched from Gatsby into Tom's arms and vice versa. Tobias Batley, who embodies Gatsby doesn't particularly stand out as a character, although there were praiseworthy elements to his performance. Nick's narration precisely follows the plot of the original book, though we suggest you take a look at the story before going to see the show, as some scenes can confuse slightly. Praise must also go to the costumes and lighting, which work together to transport the audience right back to the Roaring Twenties. 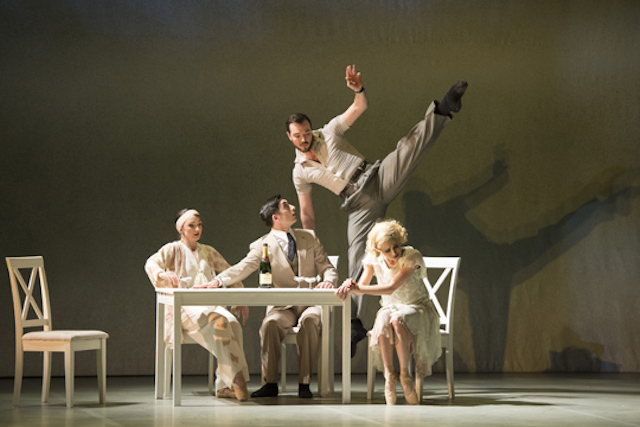 Northern Ballet's The Great Gatsby is on until 28 March at Sadler's Wells Theatre, Rosebery Avenue, EC1R 4TN. Tickets are £42-£12: please note that the show is almost sold out but there are still a few tickets left. Londonist saw this show on a complimentary press ticket.